WARSAW, Nov 12 2013 (IPS) - These are busy days in the Polish capital Warsaw, even if it doesn’t show. The United Nations Climate Change Conference COP 19 has opened at the National Stadium, while on the other side of the river Wisla the Polish far right gathered for their annual march on Independence Day on Monday. But bar a large banner on the National Palace of Science and Culture in the centre of the city, one of the venues for the COP, hardly any signs inform local residents that an important meeting about the fate of the planet is taking place these days in their city. Poland is organising this year’s COP because it is the only country in Central and Eastern Europe interested in the job when the region’s turn came to host the U.N. conference. Yet many question Poland’s ability to play a constructive role in the negotiations given the country’s recent history of blocking EU progress on climate targets. Poland is this year hosting COP because it is the only country in Central and Eastern Europe interested in the job when the region’s turn came to host the UN conference. In the spring of 2012, Poland single-handedly blocked the adoption of an EU low-carbon roadmap for 2050, meant to introduce across the bloc a 40 percent cut in carbon emissions by 2030, a 60 percent cut by 2040 and an 80 percent cut by 2050, compared to 1990 levels. This fall, Poland announced its intentions to also prevent Europe from setting 2030 climate goals. A bigger emissions cut commitment from the EU could play a positive role in the advancement of climate negotiations. The reason for Poland’s stance is coal. 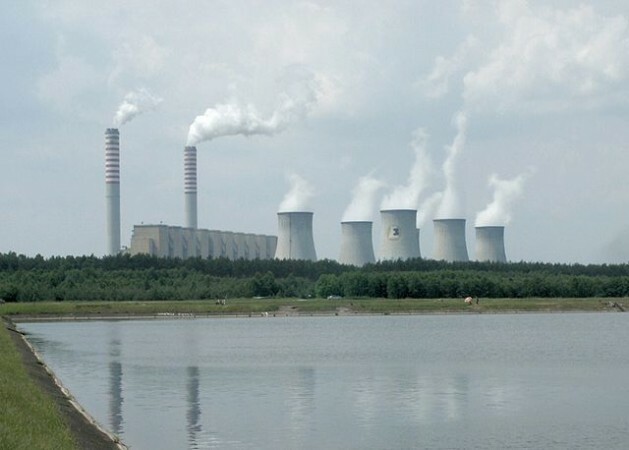 Almost 90 percent of the electricity used in Poland comes from coal, the dirtiest fossil fuel, and the country’s energy strategy does not envisage a significant shift away from this source of energy. Controversially, the Polish Economy Ministry is organising Nov. 18-19, in parallel to the COP and together with the World Coal Association, an International Coal & Climate Summit. The Warsaw Communique, a document co-authored by the coal lobby group and the Polish ministry, will be delivered to U.N. representatives during the event; it contains a call to invest public resources in ’clean coal’ technologies in order to maintain high coal use around the globe. Despite sticking strongly to its pro-coal agenda, the Polish government insists it is not opposed to the progress of climate talks. “I am not sceptical about climate change, I am sceptical about some European ways to address it,” twitted Polish Environment Minister Marcin Korolec in the run-up to the COP. The Polish government’s current attempts to prevent the EU from heightening its own climate ambitions is much to the liking of the Polish and European far right, it was revealed Nov. 10 during an ’anti-climate summit’ organised in Warsaw by the Polish far-right party Ruch Narodowy (Polish National Movement), the Solidarity trade union and the U.S. climate-denialist think tank Committee for a Constructive Tomorrow (CFACT). According to Greenpeace research, CFACT has been receiving almost half of its funding over the past years from the Donors Trust, a secretive funding vehicle which between 2002 and 2011 has channelled 146 million dollar to climate denialist groups. While many of the figures financially propping up the Donors Trust are unknown, Greenpeace has been able to establish that two foundations linked to Charles Koch, the oil and chemical industry baron infamous for bankrolling climate sceptic voices, have been putting money into the Trust. During the Warsaw conference, CFACT representatives Craig Rucker and David Rothbard made presentations arguing that climate change is not caused by human activity and claiming that climate policies would mean further impoverishment of the poor around the world. Against this background, the Polish far right represented by Ruch Narodowy outlined their vision of Poland’s climate and energy policy, having at its core a concept of sovereignty understood as rejection of EU and U.N. policies and a reliance on domestic coal. The EU’s climate and energy package stipulates that by 2020 the block must reduce emissions by 20 percent compared to 1990 levels, give renewables a 20 percent share in the energy sector and improve energy efficiency by 20 percent. Poland’s two biggest political parties, the governing Civil Platform and conservative Peace and Justice party, have been recently engaged in a public game of throwing responsibility on to one another for committing to the package. On Nov. 11, far-right groups attending the anti-climate conference joined the Independence March organised by two of the most important far-right organisations in Poland, the All-Polish Youth (Młodzież Wszechpolską) and the National-Radical Camp (Obóz Narodowo-Radykalny), which in 2011 joined to form Ruch Narodowy. Over 10,000 people joined Monday’s march. The demonstration has become a yearly show of strength by the Polish far right. Some of the participants got involved in scuffles with one another and the police; a squat in the centre of Warsaw was attacked by participants; and a rainbow flag symbolising diversity was burnt.